It is now official. Nicholls "Shanks" Esprit who was once a top official of the the United Workers Party (UWP), even representing them as an opposition Senator in Dominica's parliament, is to be the candidate for Salisbury for the Dominica Labour Party (DLP) in the upcoming general elections. 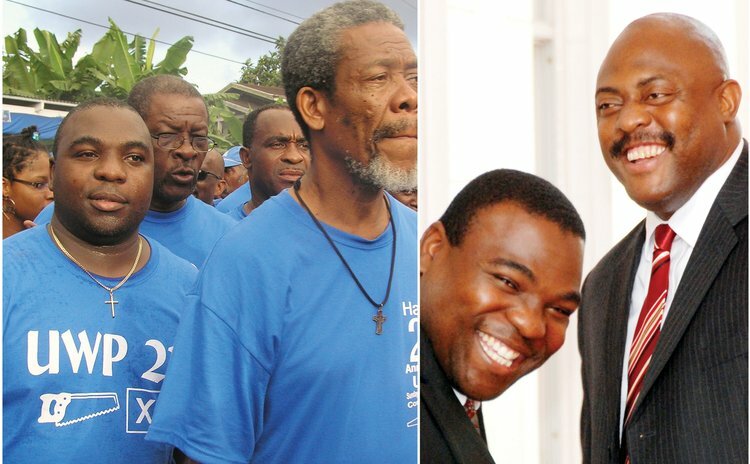 In its May 12 issue, the SUN reported that Esprit who had severed ties with the UWP was the front runner to represent the DLP in that constituency but he refused then to confirm the story. But writing on his Face Book page Esprit stated, "I am extremely honoured to have been selected as the candidate for Salisbury, Coulibistrie & Morne Rachette constituency. I am tremendously grateful to the villagers whose trust has afforded me the opportunity to be voted parliamentary representative, and make the daily life of every constituent better. The road to archiving this historical feat will be long and hard, but I'm confident we can be victorious." He continued: "Our constituency requires a lot of improvements; I will direct the attention of the government to the needs of our communities. In the coming months, I will articulate my plans for the constituency. "On Saturday night we launched my official Facebook page, and overnight already has well over 100 likes. I'm truly appreciative of the support gathering behind my candidacy. This goes to show that the people are crying out for effective representation, which I intend on providing. "I would like to take this opportunity to thank everyone who has already liked the Facebook page and encourage you to share it with all your friends and family as we work towards bringing home the Salisbury Constituency to the Dominica Labour Party," Esprit stated. When contacted by the SUN reporter for a face to face interview, Esprit flatly refused saying: "I have nothing to say to you." He says he took offense to the SUN's story a few weeks ago which opined that it was easier for him to beat Usain Bolt in a sprint than for Esprit to win the Salisbury seat which the UWP has won for over 25 years.